Add to your style or complete your look with this stunning sterling silver choker. 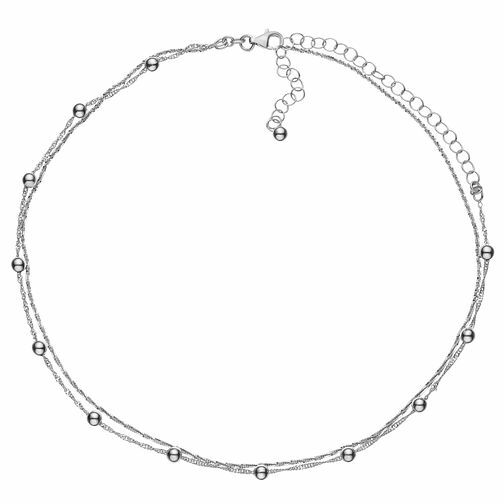 With two strands, one featuring a silver bead design, this choker will add shine and edge to any outfit. This choker has an extender and can be worn 14" +2".